Reliable Mazda is a trusted resource for reviews of the 2013 Mazda Mazda5 - scroll down below the video to begin reading. Reliable Mazda stands out from the other local dealers with products and services made to assist you in your search.These well-written reviews will help you do just that. To make smart decisions when it comes to your next Mazda Mazda5 purchase, don't guess! 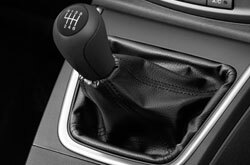 Each paragraph is full to the hilt with facts and Mazda5 features in way that's easy to understand. 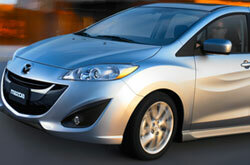 Is the 2013 Mazda5 right for your family? Continue reading and find out! Check out the 2013 Mazda Mazda5 against versus similar autos like the 2013 Acura TSX, Hyundai Sonata and the Nissan Altima, and you will discover that the 2013 Mazda5 beats out those vehicles in quite a few areas. Look over the reasons see why! Take a peek inside the 2013 Mazda5 - view video now! Unlike aftermarket auto centers, our Springfield car repair facility offers trustworthy OEM parts, wonderful Mazda trained technicians and a free warranty for all services. We're also conveniently lodged near a number of neighboring cities. Reliable Mazda's esteemed mechanics will keep your Mazda5 in athletic form. From more elaborate operations like muffler repair to less time consuming services like brake pad replacement and simple speedy filter and oil changes, our Mazda repair crew do it all. Reliable Mazda is your surefire destination in Springfield for quality, professional Mazda repairs and routine maintenance. The next time you drive over to our service department, take a coupon! Go ahead and click the link under this paragraph for specials.